After two days of synchro competitions, the Budapest Cup 2017 continues on Sunday in the Hungarian capital. Almost 60 teams from 14 different countries are skating this weekend in Budapest. Discover the results! 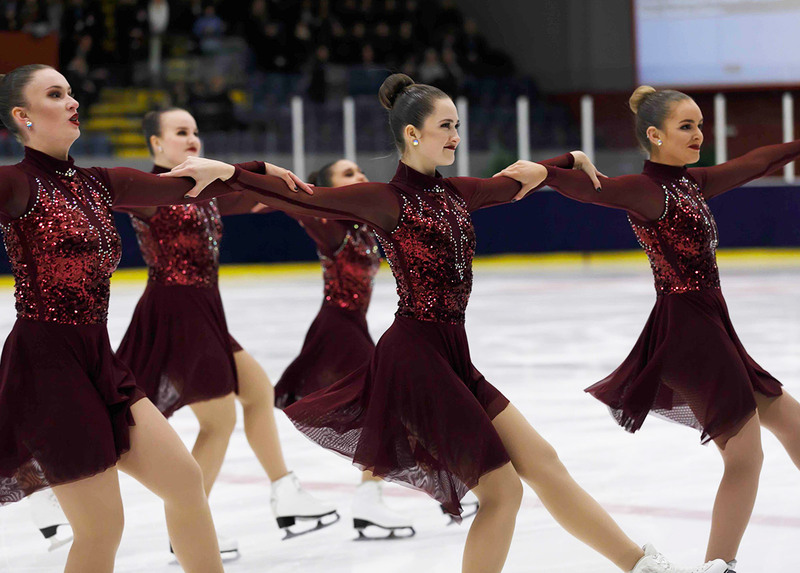 Team Paradise from Russia danced off with the Senior gold medal (210.42 points), edging out the Canadian Les Suprêmes who earned 188.39 points. Team Passion (HUN) took the bronze medal with a total of 135.58 points. 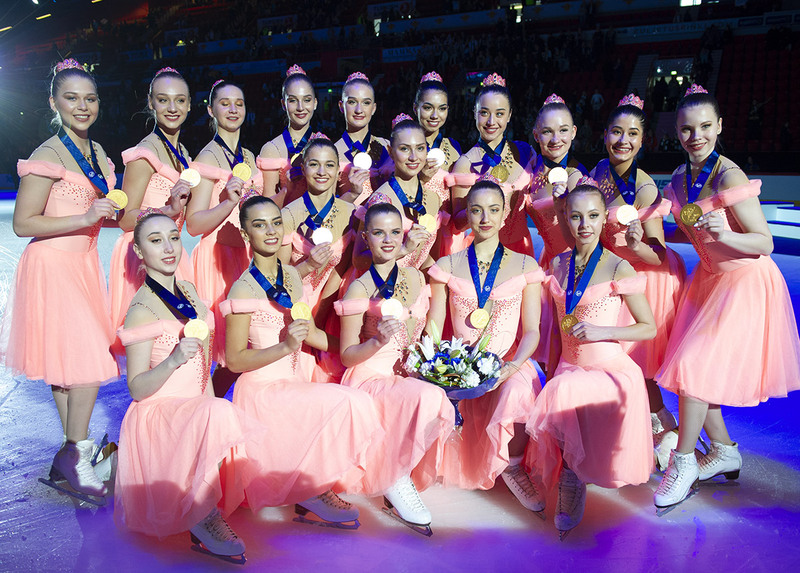 Seven Senior teams skated this year in Budapest. Team DreamTeam from Russia took the 4th place with 122.16 points, Team Olympia (CZE) placed 5th 117.12, the German Skating Graces finished at the 6th position (109.46 points) and Team Ice Lions Batumi from Georgia earned 65.25 points. In the Junior division, Team Zhemchuzina, also a Russian team, won the title this year. With a total of 102.92 points, the skaters from Russia won the gold. At the second place, Team Zagreb Snowflakes from the Croatian capital (67.14 points) and the bronze medalist this season is Team Interstellar (UKR) who did 53.71 points. Representing Turkey, Team Solarice took the 4th place with 38.27 points. At the Advanced Novice level, Team Berlin Novice from Germany did the best score (41.31 points). The second participating team was Team Zagreb Snowflakes (CRO) who finished 2nd with 34.56 points. In the Basic Novice division, Team Saxony Ice Pearls (GER) skate to the gold with 38.61 points, the British Team Whizz Kids won the silver title (32.22 points) and Team Miniflice, also from Germany, placed 3rd with 31.49 points. Team Kometa (CZE) and Team Le Soleil (POL) completed the podium. Budapest Cup will conclude on Sunday with the Adult, Juvenile and Mixed Age categories. In the Mixed Age field, 16 teams are engaged: 5 from Germany, 4 from the Czech Republic, 3 from Hungary, 2 from Italy, 1 from Croatia and the only team from Norway is also registered: Team Stavanger Pearls.